Sky Apartments is a 22-level high rise residential tower consisting of 117 apartments. The apartments feature resort style facilities, including a sun deck, tropical gardens, a swimming pool, a tennis court and a well-equipped gymnasium. Luxury interior design, top quality appliances and superb finish add to the prestige of this complex. 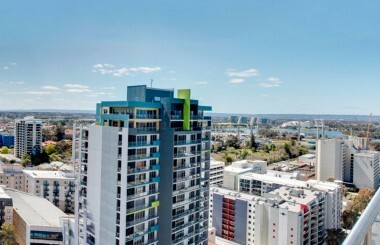 Penthouse apartments enjoy unsurpassed river and city views.